Claxton lies in the Yare Valley - seven miles south-east of Norwich. The name derives from 'Klakkr's enclosure'. Claxton Manor contains the remains of Claxton Castle which was mentioned in the Paston Letters. 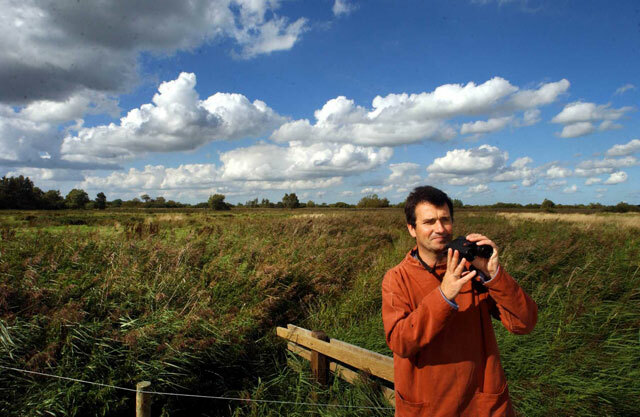 In 1999, the nature writer Mark Cocker (1959- ) moved from Norwich to live in Claxton. He bought a house called 'The Hollies' and his move to the village is documented in his book Crow Country. Claxton lies just above the floodplain of the River Yare - directly opposite Buckenham - which is the location which inspired Crow Country. Each evening in winter, thousands of rooks and jackdaws pass over the railway line here and head for the woods known as Buckenham Carrs. Claxton provides the title for a collection of Cocker's articulate newspaper articles about wildlife: Claxton: Field Notes from a Small Planet - which was published in 2014. Once again the Yare Valley provides the focus for his accounts of birds, worms and other animals - though he does range further afield. Cocker also co-wrote Birds Britannica with Richard Mabey (see Roydon) - however Mabey was suffering from depression at the time so the bulk of the work was undertaken by Cocker. Mabey's struggle with depression and his eventual Norfolk-related cure is told in his moving memoir Nature Cure (2005). Before establishing himself as a writer and journalist, Cocker studied English Literature at the University of East Anglia.